Want to change your life? Do these 12 things a day! Have you decided to change your life for the better? Do you want to escape from the prison that you’ve built for yourself? Do you want to discover the joy of the new, to live healthier, to spend less money or to defeat your laziness and endless procrastination? If so, the time to start making changes is today. 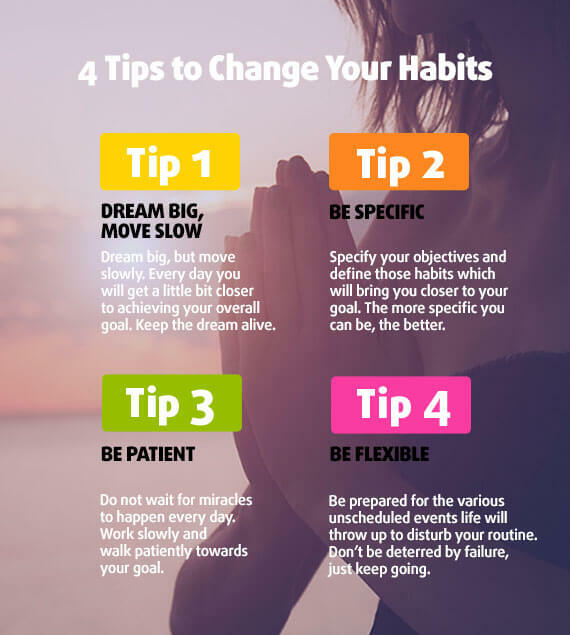 In this article, we’ll show you just how easy it is to introduce small habits into your life which will allow you to make some big changes. The change will take you one step further and fill your life with challenges. It can open your eyes and test your inner strength and determination. Work on your happiness every single day and change your life by introducing some very simple rules. Do you want to get rid of your bad habits? Do you want to change your lifestyle, to be more active and less lazy? Do you want to change career or feel like you’re stuck in a rut? Maybe you want to make some major changes to your whole life? Before you make any changes to your life, you need to know exactly what your new life will be like. Think about yourself and re-evaluate the path that has taken you to this point. Think about your desires and imagine what your best life should look like. What do you need to change to reach it? The next step is preparing for change, so you will need to get rid of everything that’s stopping you from making changes. 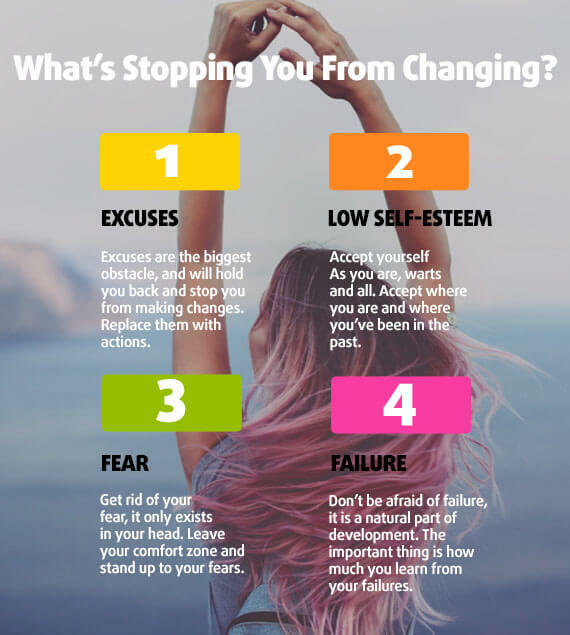 It is usually your own fear that stops you from making changes, or else excuses, low self-esteem and memories of past failures. This is not going to be an instant fix, so prepare yourself to work at making these changes. Changing how you live your life can take several days, even months, to achieve. 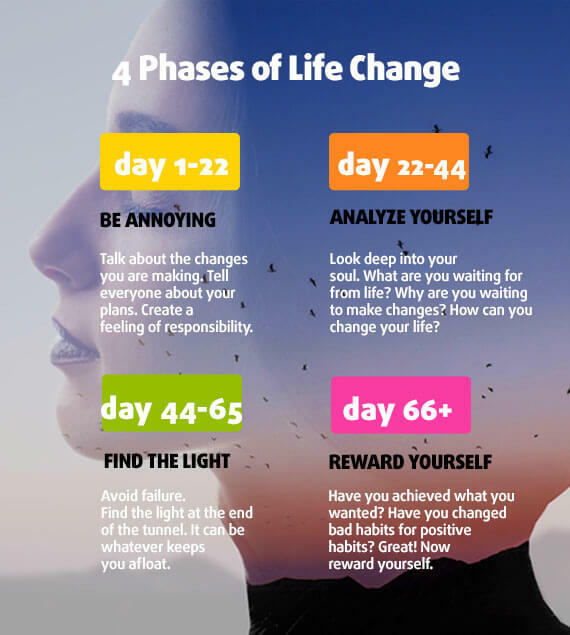 The best way to change your life is to adopt the daily habits that are going to lead you to your goal, and at the same time, to get rid of those bad habits that have been stopping you from achieving ​​happiness. According to a study published in the European Journal of Social Psychology, it takes 66 days for a person to change his/her life. The author is called Philippa Lally and her team of scientists researched the origins and extinction of human habits and change of lifestyle. Tell the world about your plans to change! Annoy your family, colleagues and friends and tell everyone you meet about your mission. Continue repeating the same thing: I will stop smoking, I’m going to change my job, I’m going to save for a luxury holiday, I’m giving up sugar, etc. The point of doing this is to add an external pressure to keep you on the straight and narrow. If you don’t stick to your plan you will have to face the disappointment of the most important people in your life, which is a great incentive to keep going. Think about yourself and your life. Go to the depths of your soul and ask yourself: who am I, what do I want from life, what must I do to change my life? Go to the core of the matter; answer the questions as to exactly why you want to achieve this change and how it’s going to affect your life. If you find the right reason, it will be easier for you to overcome the obstacles in the way of the path of change and you will find a stronger inner motivation. You have had 44 days of abstinence and getting used to new rituals, and 22 days still ahead of you. You are not out of the woods yet, as this is the time when you can feel like packing it in and forgetting your mission and abandoning your goals. When you get to this point you have to find something that will keep you going, something that will help you reach the finish line. These 22 days will show you how strong and healthy you are, so just find the light at the end of the tunnel and walk towards the better version of you. Were you able to achieve what you wanted? Have you shaken off those bad habits that were dragging you down, and learned new habits and ways to live? 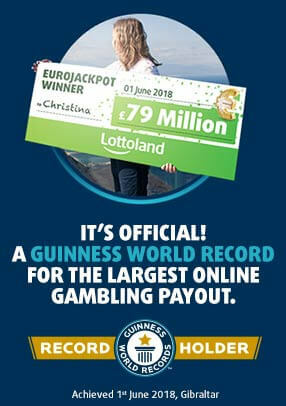 Celebrate it! Treat yourself to a fully deserved reward – dinner in a nice restaurant, a holiday, a party, new clothes to show off your new figure, or any other treats you can think of! Many people think that a better and happier life is a life's goal rather than a day-to-day process. However, in fact the opposite is true. Reality is the result of what you do every day and includes the most basic thigs such as the food that you eat, your daily tasks at work, and the way you spend your free time. Small daily rituals and habits affect your life more than you can possibly imagine. If you want to change your life, you need to change the little things that you do every day. It will help to make positive habits an automatic, unthinking part of your life, which will prepare you for the unexpected situations that arise every day. The author of the book ‘Uncertainty’, Johnathan Felds, refers to these ingrained positive habits as an ‘anchor of security’, because they give people a sense of security and reliability. No matter how many tricky situations you will experience on a daily basis, your positive habits are there for you to fall back on. Research has proved that the practice of visualization can actually deceive your brain! All it takes is for you to visualize yourself doing something really well, like speaking fluent Spanish or doing a handstand, and your brain will be fooled into thinking this is the reality. Taking time out to ‘dream with your eyes open’ is also a great way to reduce stress and to relax. Just try not to let your boss catch you in the middle of a visualization session at work! As soon as you get up in the morning, (or even better, the night before), define your priorities for the coming day. Write down all the things that you want and need to do throughout the day and rank them in order of importance. Many people fail because they leave tasks incomplete and are too disorganised. They try to do everything at once and the result is that they do nothing. If your life needs change, create the habit of planning your daily tasks. Buy a colourful notebook or diary, something that will make you enjoy writing down your list of things to do that day. Forcing yourself to wake up early in the morning will get rid of the habits of laziness and procrastination. Get up early and start being active in the morning; go to the park, practice yoga, visit the gym, or whatever suits your schedule. An energetic start to the morning will carry you through for the whole day. At first, it’s going to be difficult to get used to this new active morning mode, but the results will be visible in a very short space of time. Exercise for just 30 minutes a day to fulfil your mission, and you will start to reap the benefits of your energy boost. Even something as simple as making changes to your daily routine can change beyond belief. It works best morning and evening. You can start your morning routine immediately after awakening - such as body stretching, jogging, reading messages, or at the beginning of a working day - checking daily tasks, checking emails. You can start the evening routine before leaving work - Prepare next day or bedtime tasks - Track spending, visualization, meditation, and more. Conversely, some daily routines are unnecessarily stereotypical. Try to change them and introduce small changes that will pull you out of everyday boredom. For example, go to work elsewhere or buy a coffee in another café, and so on. Think of your body every single day; after all, you’ve only got one! Try to create habits that act positively on your physique: drink plenty of water, exercise, jog, swim, do yoga, take care of your teeth, hair, skin, and so on. Be fond of your body and start to create a healthy lifestyle and a balanced diet from the inside. Leave your car at home and go to work on foot or on the bike. As much as possible, avoid the lazy way of doing things; take the stairs instead of the elevator, for example, or park at the far end of the car-park. Lack of movement can lead to heart disease, obesity, spinal problems, and many diseases exacerbated by modern urban living. A healthy-looking body leads to improved self-esteem and confidence. Every is a new learning opportunity, whether that is a foreign language, dance, playing a musical instrument, yoga, baking, embroidery or whatever else appeals to you. 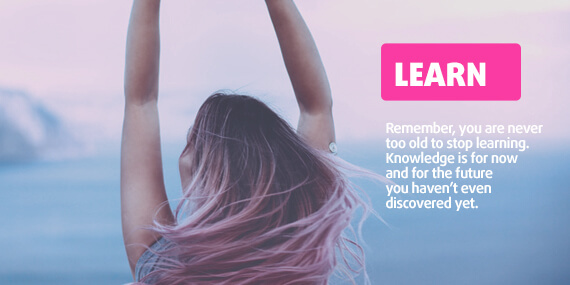 Learning broadens your horizons and trains your memory. Your brain will be active rather than lazy and with your synapses firing you will be able to handle even harder life tasks, exams or problems in new and creative ways. In addition, you will expand your vocabulary and learning can be a path-way to meeting interesting people and making new friends. Forget multi-tasking! According to research, the multi-tasking, i.e. devoting oneself to several different activities at the same time, is possible for only 2% of the population. Everybody else just looks like they are multi-tasking people when in fact they are jumping between two activities and not giving enough attention to either. Focus on just one task and when it's done, move your attention to the next one. Remove from your life the unnecessary stress and chaos caused by trying to do multiple things at the same time. For most of us the only thing that multi-tasking ensures is that none of the tasks are done well and according to your expectations. Remember, we know well that not everything is about quantity but quality. Take one hour during the day when you turn off all mobiles, tablets, computers, TV and radio. An hour when you’re awake: no cheating! The best option is to switch off an hour before bedtime. Many scientists believe that the light from smartphones and tablets reduces the production of the melatonin hormone, which ensures healthy sleep. Replace your phone with a good old-fashioned book and read in soft light, to be able to enjoy sound sleep and beautiful dreams. Train yourself to be grateful for what you have every single day. Make it a nice habit to express your thanks at the end of the day for everything that you have in your life. Write down the nice moments you experienced on that day in your diary. Scientists say that gratitude is one of the best ways to achieve happiness. As well as being grateful, try to make a conscious effort to be kind to people every day. Learn to control your mood swings and do a good deed every day, no matter how big or small it is. Acts of kindness and gratitude make you feel good, and will make you feel more cheerful and healthier. Shut down your brain and relax for at least 5 minutes a day, in an absolutely quiet room, without a mobile phone, music or any other distractions. Just meditate and think of nothing. 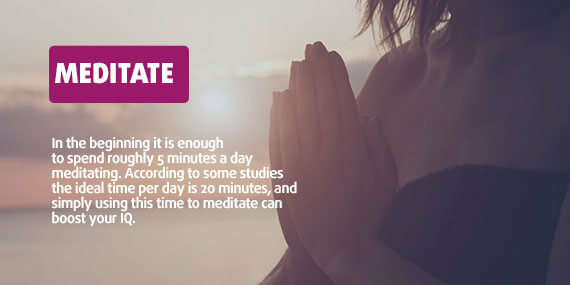 This type of meditation is an important exercise for your brain. During brain inactivity, the grey cerebral cortex is restored in those areas that affect the ability to concentrate and help cope with stress. Meditation is not only good for Tibetan monks or hippies, it is beneficial for everybody. In the same way that it’s necessary to take care of your body every day, it is essential to feed your soul as well. Give your soul nutrients in the form of a quality book, film, music or some other form of culture, such as a visit to a museum, gallery or concert. Read about what's happening in the world, expand your knowledge of the world's latest technology or innovation. Also, motivational literature or inspirational biography are excellent and a good way to stay on track. Try to clear your head of unnecessary thoughts. As Martial Arts Master Bruce Lee said: "If you spend too much time thinking about a thing, you’ll never get it done." Now that doesn’t mean not to think at all, it’s just that we need to try to avoid cluttering up our head-space with stuff that’s not important. Think about and plan your rooms, create visualizations, but do not waste your time on a long train of thought that’s going nowhere. Free your mind, let it work only when it is needed. Also, try to get rid of negative ideas and work on positive thinking. It’s not easy, but this is an important step on the journey. Getting rid of old habits, especially those which stand in the way of a new life, is very difficult. There are lots of harmful habits which you don’t even realise are doing you harm because they have become so natural as to seem quite ordinary and inoffensive. Like something you have not created yourself, but which has always been part of you. However, according to the scientists, it is also possible to exchange these hard-to-digest rituals for new ones and to change your life for the better. A psychological study has shown that abstract thinking is an effective method for stimulating discipline. Psychologists and motivational authors therefore recommend that you have big ambitions, but work on them in small, achievable chunks. Start working on your daily routines and habits that will gradually help you to reach your goal. Every day, you must set achieve the minimum target that you have set yourself; for example, you spend 20 minutes a day writing your blog or 45 minutes exercising or practising piano. Specify what you want to change in your life and be able to describe to yourself exactly the bad habits you want to get rid of. Specify your goals and define those positive habits that will bring you closer to reaching those goals. When you want to change your life, it's not enough to say that you eat healthy every day. Better results are achieved when you determine exactly what to do. Write a list of prohibited foods, create a specific menu, specify portion sizes and draw up a timetable for meals. When your goal is too general it is much harder to stick to a plan. Start following the routine you have set for yourself, and get rid of the bad habits. But don’t start expecting miracles to happen from the first day, or even the first week. Work on yourself gradually and patiently. Some changes will start happening by themselves, others will take more effort. Be patient when waiting for results. Changing your life is like running a marathon, it takes time and effort and the ability to stick it out. If you want to make changes that will last a life-time, give yourself time to be able to make them. Don’t distract yourself with unnecessary deadlines. It doesn’t matter how long it takes you to achieve your goals, the important thing is that you are putting in the effort. Make some changes to your schedule if you think it’s necessary. For example, if you found it difficult to manage the 60 minutes of exercise a day due to time constraints, change it to 45 minutes. Be prepared for the various unplanned events that life throws up, and don’t be discouraged by failures. Finally, even though you’ve set yourself daily plans and routines, leave some space to be spontaneous too!